The #BSMF15 app is the official Beale Street Music Festival mobile app. 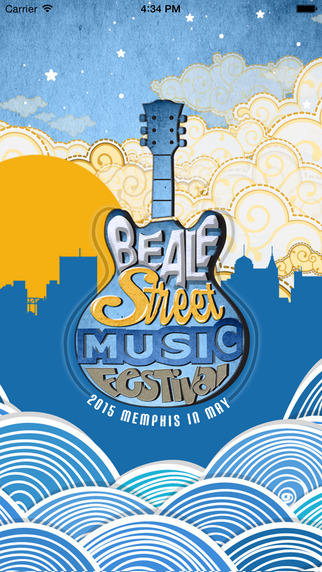 It’s your digital guide to everything related to the 2015 Beale Street Music Festival. Use this interactive app to organize and map out your Beale Street Music Festival experience so you don’t miss a second of this year’s incredible music talent.The 2015 Beale Street Music Festival marks the 39th anniversary of the festival, which each year attracts music enthusiasts from all 50 states and a dozen foreign countries to the storied city where rock-n-roll and blues music all began. Over the past decade, the festival has attracted over 1.1 million music fans to the multistage three-day event, best known for its eclectic mix of contemporary rock, blues, soul and modern talent and its musically inspired setting. The festival is held in a beautiful 25-acre riverfront park at the foot of historic Beale Street overlooking the mighty Mississippi River.Features include:- Full Music Lineup: See when and where your favorite Beale Street Music Festival acts are performing. Add filters to match your musical tastes and preferences. Sort, add or remove acts from your schedule to personalize your Beale Street Music Festival experience.- Food/Merch Offerings: Map out your culinary adventure before you arrive at the festival. See all food locations and offerings of the Beale Street Music Festival so you can prepare your taste buds. And know exactly where to pick up your festival merchandise before heading home.- My Schedule: Create a customized music performance schedule organized by day, time, artist and location.- Artist Info: Learn about the 60+ music acts performing at this year’s Beale Street Music Festival.- Social Media: Stay connected with Beale Street Music Festival via our integrated Facebook, Twitter and Instagram feeds.- Map: Use our interactive map to ensure you never lose your way while finding the next show, food vendor or restroom!